High speed, High resolution, Multiple simultaneous camera acquisition, GPS/IO/IRIG data recording. Record live uncompressed or compressed video directly to your PC's RAM or hard disk drive in real time at up to 625 Mbytes/second. 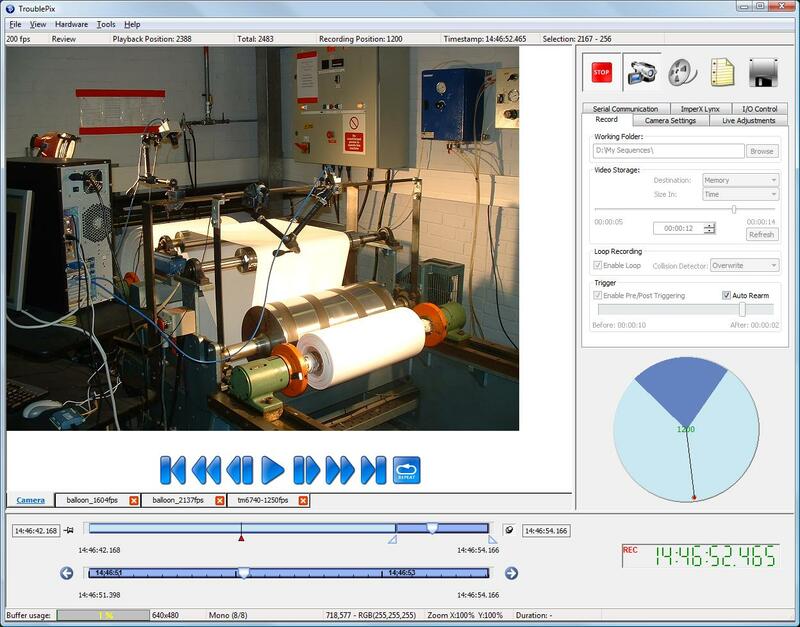 Create movie clips in AVI or other file formats such as bmp, tiff, multi-tiff, mpeg or jpeg format. StreamPix guarantees no image drops when acquiring a sequence. single GigE or USB3.0 camera! 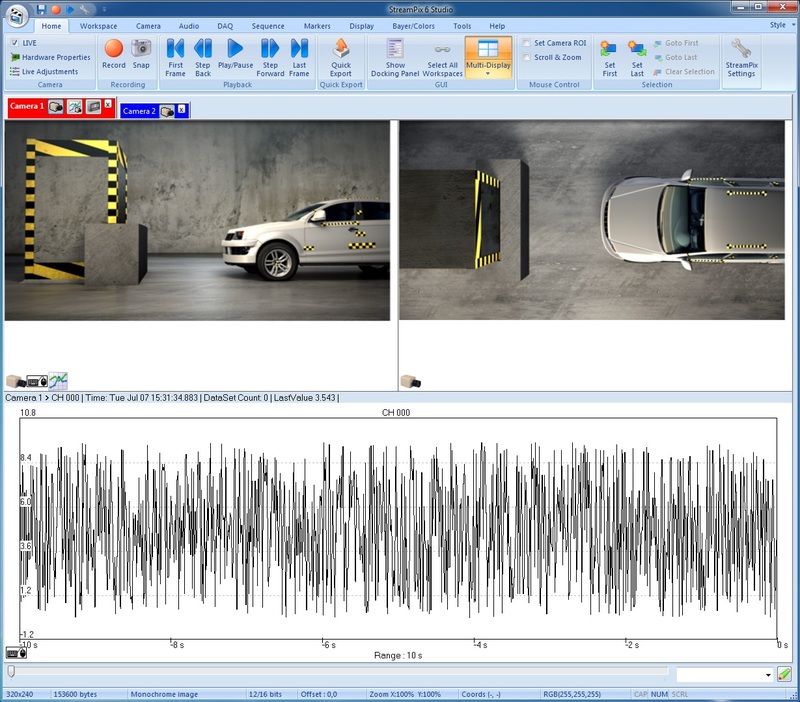 TroublePix is a digital video recording software package for acquiring live uncompressed or compressed video directly to your computer's hard disk or RAM memory. StreamTouch is the ideal solution for use at touch screen computers in factory floor use and troubleshooting. 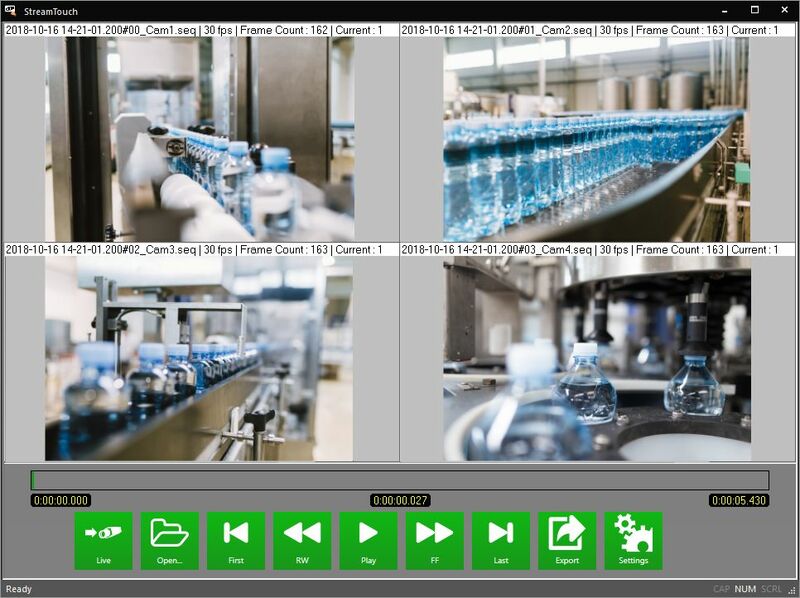 It is ideal for multiple camera aquisition and allows pre/post selection fpr continuous loop recording.